Nearly a billion people could be newly at risk of tropical diseases like dengue fever and Zika as climate change shifts the range of mosquitoes, according to a new study. Since the life cycle of mosquitoes is temperature sensitive, scientists have long been concerned about how their prevalence might spread as the world continues to warm. The study is one of the first to examine in detail how that might happen by using an overlap of two disease-carrying mosquitoes’ range and projected monthly temperature changes under a variety of future warming scenarios. In the most extreme scenario of more than 4 degrees C (7.2 degrees F) warming by 2080, certain tropical disease-carrying species of mosquitoes currently found only seasonally in the US South and southern Europe could greatly expand their range, as far north as Alaska and northern Finland—north of the Arctic Circle. That would force a redefinition of the term “tropical” diseases. The sheer enormity of people who could be exposed gave the lead author pause. “It’s rather shocking,” said Sadie Ryan, a disease ecologist at the University of Florida’s Emerging Pathogens Institute, in an interview with Grist. In Europe alone, the number of people exposed to the dengue-carrying Aedes egypti and Aedes albopictus mosquitoes could roughly double within the next 30 years. In currently warm climates like the Caribbean, West Africa, and Southeast Asia, tropical disease incidence could actually decrease as those climates become so warm that they “exceed the upper thermal limits for transmission.” In other words: It will be too hot for the mosquitoes to effectively carry dengue. 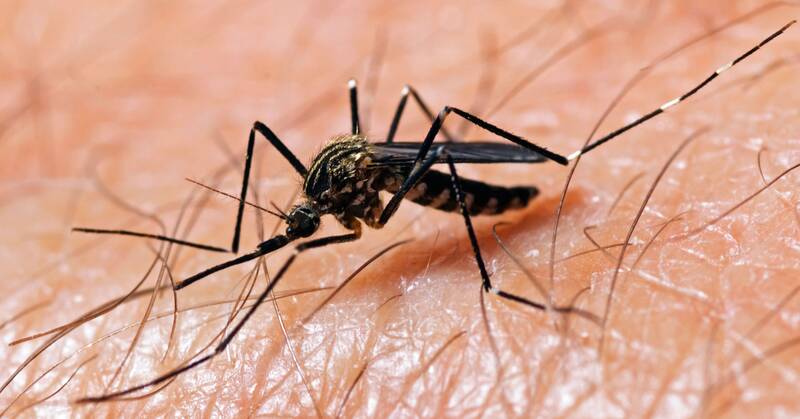 On the whole, “climate change will dramatically increase the potential for expansion and intensification of Aedes-borne virus transmission,” according to the study. “Climate change is one of the biggest threats to global health,” Ryan said. “There are many more vector-borne diseases out there that are temperature sensitive.” Ryan also cautioned that mosquitoes, ticks, bark beetles, and invasive fungus threaten animals and plants as well as human health, and climate change is making many of them worse. Malaria, which was not considered in this study, already affects nearly half of the world’s population, according to the World Health Organization, killing more than 400,000 people each year—one of the leading causes of death for children in Africa. Previous studies have shown that hundreds of millions of people could be newly exposed to malaria by the end of the century, which is carried by a different species of mosquito. Dengue is one of the most common tropical diseases, but it is far less deadly than malaria—out of 100 million infections, it causes about 22,000 deaths each year. According to the work of Ryan and her colleagues, Europe could be hardest hit because it sits on the leading edge of where mosquitoes can now survive. The worst-case scenario that Ryan and her colleagues explore is actually worse than business-as-usual—it’s a world where civilization doubles down on fossil fuels and planetary systems cause the world to heat beyond the 3.4 degrees C (6.1 degrees F) currently projected. Ryan said her results should send a clear message to public health departments to boost their budgets in preparation. There are countless reasons to be scared of climate change, and invading mosquitos might be one of the most tangible. Still, Ryan points out that it’d probably be among the least of our worries—sea-level rise, food shortages, mass migration, and financial collapse would probably pose a much greater risk to civilization.